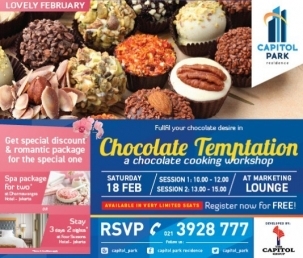 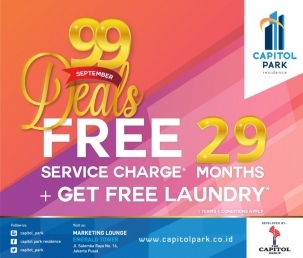 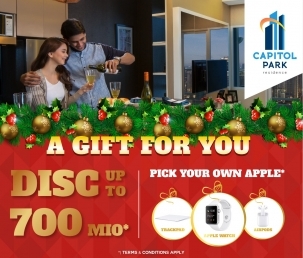 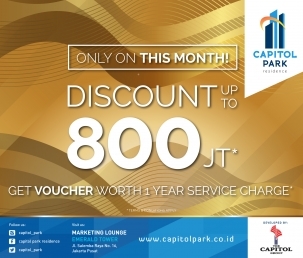 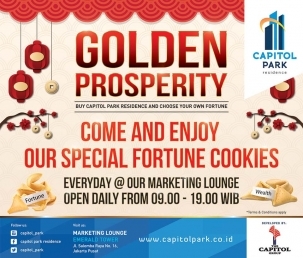 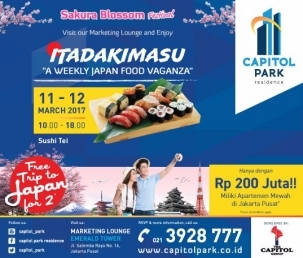 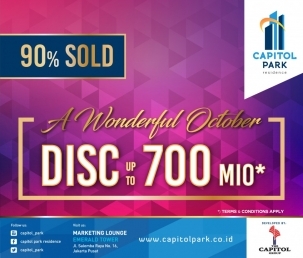 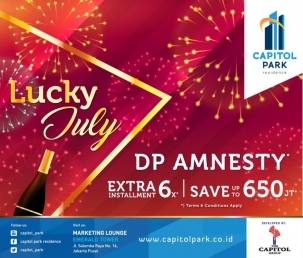 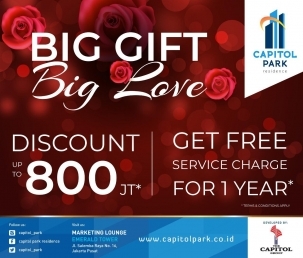 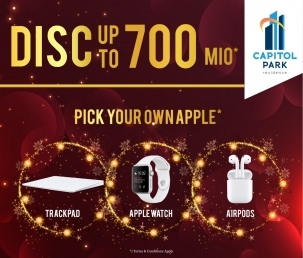 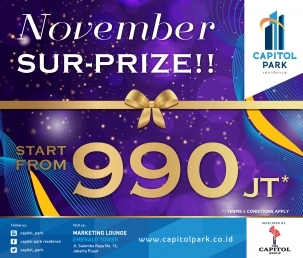 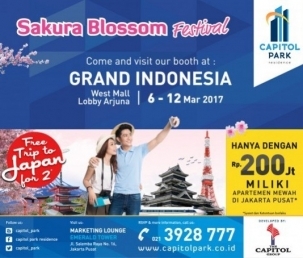 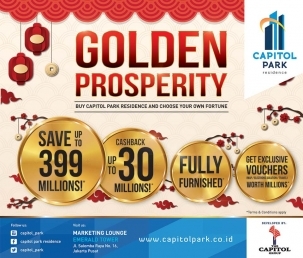 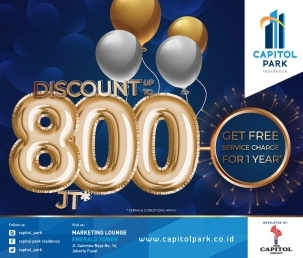 Enjoy our latest offer DISCOUNT UP TO 700 Million and get surprise gift from Capitol Park Residence. 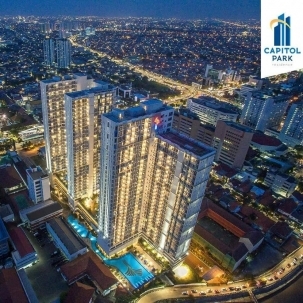 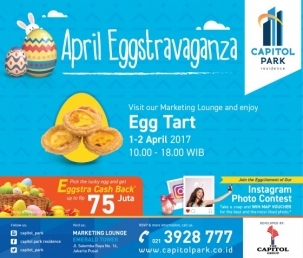 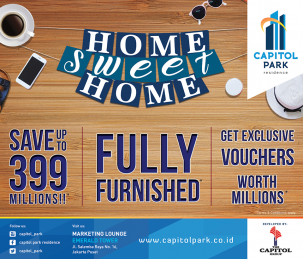 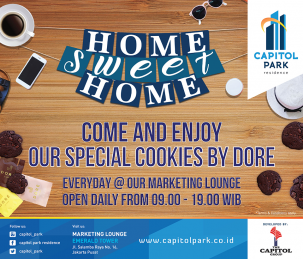 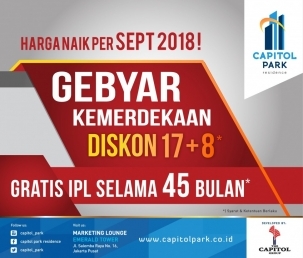 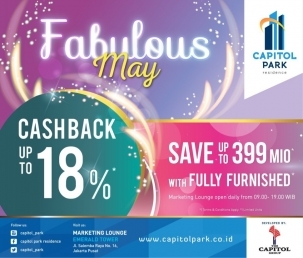 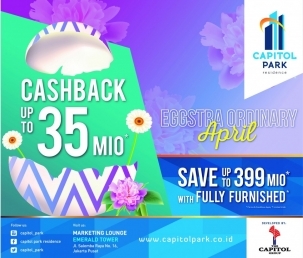 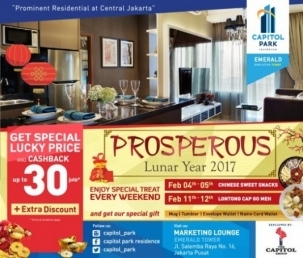 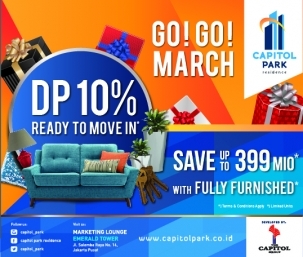 Get your unit right away and enjoy EXTRA CASHBACK TILL UP TO 18%* Get your own Capitol Park Residence, apartemen di Pusat Jakarta. 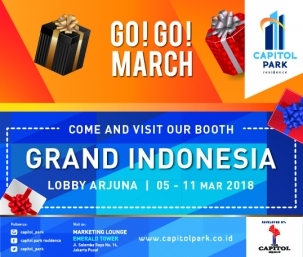 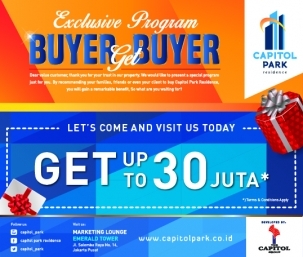 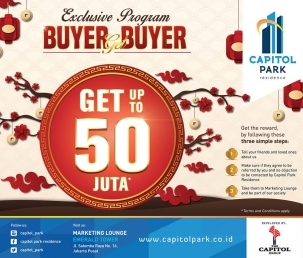 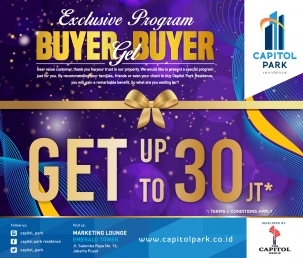 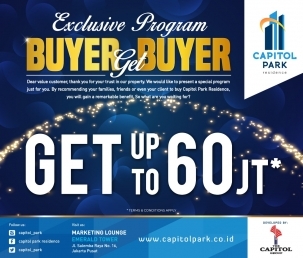 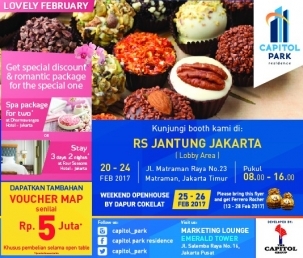 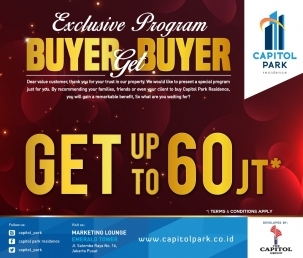 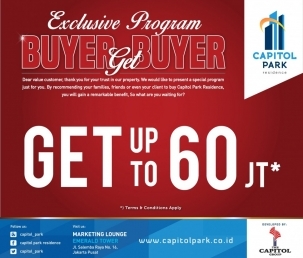 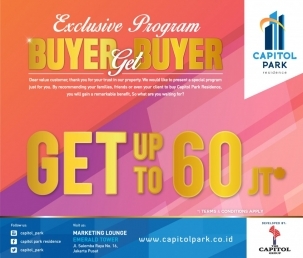 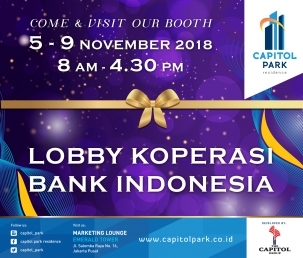 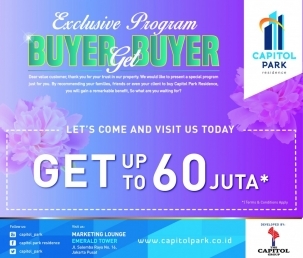 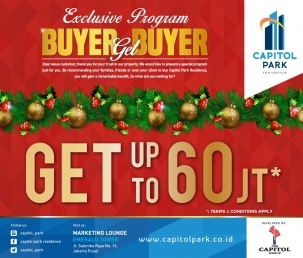 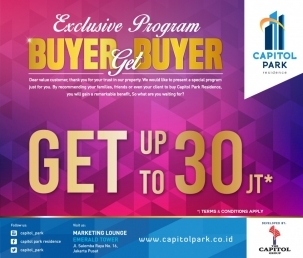 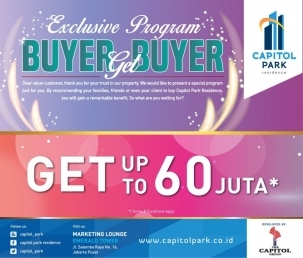 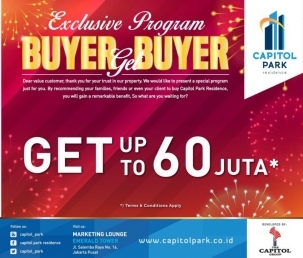 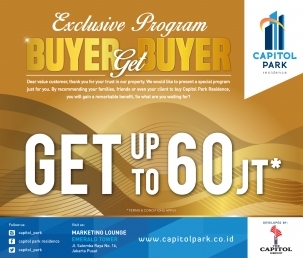 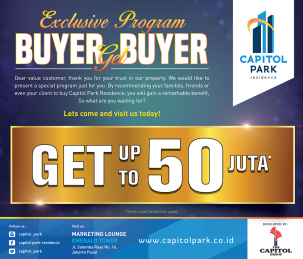 EXCLUSIVE PROGRAM - BUYER GET BUYER GET UP TO 60 JUTA* just by inviting your Family, Friends and Clients to Capitol Park Residence, apartemen di Menteng.